• This is referred to as omnispective and is a commonly cited attribute of God (Genesis 1:31; 2 Chronicles 16:9; Proverbs 5:21; Hebrews 4:13). • The richest explanation of our God’s all seeing abilities is in found in Psalms 118:13-16; 139. • God is not an idle observer; rather, He is an active “watchmen” over His people (Psalms 34:15-19; 121:3-4; 127:1). • Evil loves the darkness to hide their wicked deeds (John 3:19, Psalm 139:11; Job 24:14-15). • What this means for us is that we do not have to seek vengeance against those who harm us. By faith we know God saw it and that He will hold the wicked accountable for their deeds (Hebrews 4:13; 1 Peter 4:1-7; Romans 12:14-21). • God keeps watch over His people (Isaiah 40:11; John 10:11, 14, 27-30). • His watchful eyes do not negate our responsibility to watch ourselves (Matthew 26:41; Ephesians 5:15; 2 Peter 3:14). • What this means for us as Christians is that we can boldly practice our deeds in secret because God is all seeing. Rather than trumpeting our deeds, as if God cannot or will not see them, we can by faith know our God will see and He will reward our good deeds done in secret (Matthew 6:1-18; 1 Corinthians 15:58; Hebrews 6:9-12; 11:6). 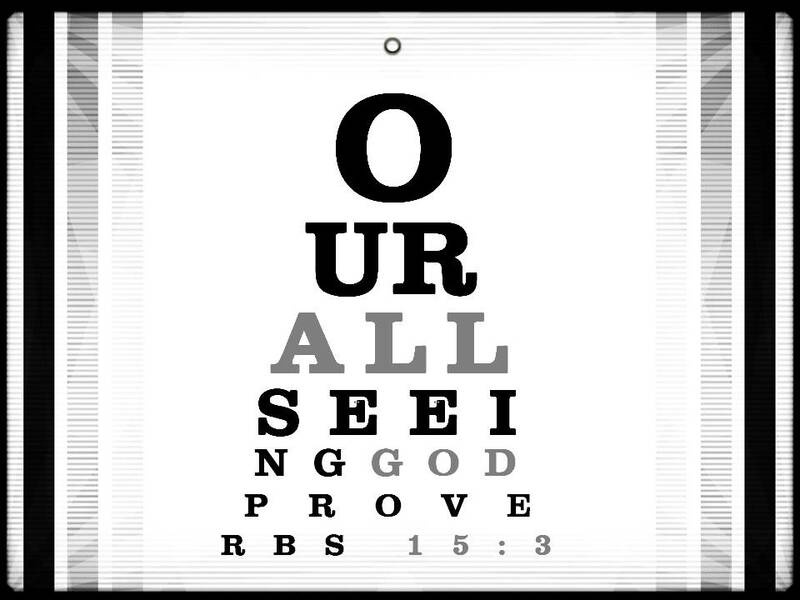 We serve an all-seeing God. Let’s take comfort in this truth and by faithfully serve Him, by not taking vengeance when wronged, and by not trumpeting our good deeds. If I can help you with any spiritual matter, email me at clay@claygentry.com. Very well said. I need to think about this more often for sure.